Before joining Thorndal Armstrong, Mr. Cooney had an active insurance bad faith defense practice in California, representing insurers in a wide variety of first-party bad faith actions. Chief among Mr. Cooney’s cases was an multi-day long arbitration under California’s Cumis statute, California Civil Code section 2860 (an area of great interest in Nevada after the recent Hansen decision), involving the gross-overbilling by Cumis counsel in the defense of a pollution action. In addition, Mr. Cooney defended insurers in claims arising from construction defect suits, uninsured motorist, homeowners, and commercial liability policies, including taking four cases to verdict as co-counsel. 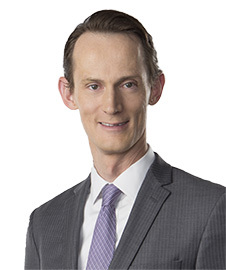 Mr. Cooney joined the firm in July 2015 and immediately took on the defense of the manufacturer of HVAC components in a multi-suit mass/class-action product liability and construction defect case. Mr. Cooney also continues his coverage and bad faith defense work, advising insurers on complex policy interpretation issues.